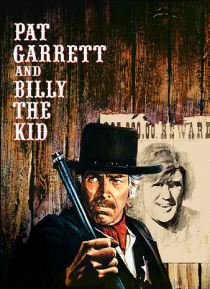 Sheriff Pat Garrett (James Coburn) is ordered by Governor Wallace (Jason Robards) to go after the outlaw Billy the Kid (Kris Kristofferson) because the cattle businessmen want him caught. Although Garrett and Billy are old friends, the lawman must abide by his duty. However, Garrett and his deputies have great difficulty catching Billy, who is very cunning. Along the way, Billy also gains the assi… stance of Alias (Bob Dylan), a mysterious knife-wielding stranger.